The BFI’s sumptuous restoration of Indian romance Shiraz is out on dual format DVD/Blu-ray now. Assuming that you took this website’s advice and already saw this lush film at the London Film Festival Archive Gala or on its recent theatrical run (actually, there are probably some more screenings coming up – check here) why should you buy it on disc? 1) Because this is a film to wallow in. Hat-tip to the illustrious Anglo-German cinematography team of Henry Harris and Emil Schünemann. It takes repeat viewings of Shiraz to satisfy your hunger for those gorgeous landscapes and grand palaces. All that beauty looks great in high-definition on the Blu-ray – and you can watch a short demo of the restoration to see just the BFI put into making it look so stable and blemish-free. I am shameless, as you know by now, so I recommend using the scene selection function to skip straight to the kiss, or to the reveal of Taj Mahal. Not forgetting the fact that you can pause that elephant’s foot moment to see just how close a call it was. It’s that time of year again, when we get to delve into the Hippfest programme. The Hippodrome Silent Film Festival in Bo’ness, Scotland, is the most welcoming event in the early cinema calendar, with one of the most glamorous venues. The lineup is always an enjoyable mix of the classic and obscure too, so I await this announcement with more interest than most. You can read the full lineup and schedule on the Hippfest website, but here are some selected highlights – and yes, I am terribly, terribly biased. Pabst! So much Pabst around these days, which is great. The Hippfest is showing GW Pabst’s first film, the most traditionally expressionist of his career, Der Schätz, with live accompaniment written and performed by acclaimed German composer and musician Alois Kott. More Pabst! On 22nd March, yours truly will be giving an illustrated “Cuppa Talk” lecture entitled Lost Girls and Goddesses, all about women in Pabst’s silent films. Brooks, Garbo, Nielsen, Helm … all will be in (virtual) attendance. Galas! The opening night screening has already been announced as The Last of the Mohicans with live accompaniment from David Allison. On the Friday night, get yourself glammed up for a date with The Student Prince in Old Heidelberg starring Ramon Novarro and Norma Shearer, with live music from the maestro Neil Brand. This silent comedy, directed by Ernst Lubitsch, is perfect in practically every way. And Brand, yeah he’s a bit of a legend too. Lon Chaney swings by on Saturday night. You can watch him play “the master of the underworld” in The Penalty with a new score, commissioned by the festival, from Graeme Stephen and Pete Harvey on guitar and cello. Stick around after The Penalty for an ideal late-night movie: Benjamin Christensen’s loopy Seven Footprints to Satan, with a live score from the always excellent Jane Gardner and Roddy Long. This film has to be seen to be believed! Sunday night closes with two screening of recent BFI silent restorations. First, the sumptuous Indian romance Shiraz, accompanied by the wonderful John Sweeney, and then Anthony Asquith’s Underground, accompanied live by the dream team of Stephen Horne and Frank Bockius. Were you at the Barbican for the London Film Festival Archive Gala last year? It was a really special evening: the premiere of the BFI’s immaculate new restoration of Indian-Anglo-German romance Shiraz: A Romance of India with a stunning new score composed by Anoushka Shankar. I was there, and you can read my review here. However, whether you missed out, or you just want to relive the magic, there is good news. Shiraz gets a theatrical release very soon – it lands in cinemas from 2 February 2018. If you want to take Shiraz home, you’ll be able to buy it on DVD/Blu-ray on 26 February too. You’ll also be able to watch Shiraz on the BFI Player, and BBC4 will broadcast a behind-the-scenes documentary on the recording of Shankar’s ambitious score at some point during the year. Last night I had a sneak preview of the DCP of Shiraz – the digital version that will be shown in cinemas and appear on disc, with the recorded score. A repeat viewing confirmed that this is an especially gorgeous film, with beautifully composed frames full of detail. The first time round I was distracted by the leading players, but on second viewing the landscapes in the background caught my eye, not to mention a donkey scratching his neck on a tentpole, a potter spinning his wheel. And sorry, Hollywood, but all your grandest designs can’t compete with the stunning architecture in this film. Shankar’s score, too, is full of surprises, bold decisions and graceful melodies. The range of instruments and styles in this piece of music is really breathtaking, and yet it’s always sensitive to the film – a really accomplished silent movie score. Saturday night’s London Film Festival Archive Gala was an extraordinary experience. Regularly a highlight of the silent film year, previous galas have showcased glistening restorations of old and faded movies paired with fresh scores of mostly excellent quality. This year’s event was an exercise in enchanted restoration – with makeover and music transforming a simple film into something entirely wonderful. Shiraz: A Romance of India was an Indian/British/German co-production from the late silent era. You might know two more films by the director Franz Osten: A Throw of Dice and Light of Asia. Shiraz is a shamelessly romantic and fairly romanticised, telling of the love affair honoured by one the most beautiful mausoleum in the world, the Taj Mahal in Agra. Shiraz (Himansu Rai, who also produced the film) is a humble, but exceptionally talented potter, who has a deep love for his adopted sister Selima. When Selima (Enakshi Rama Rau) grows up, she is sold as a slave into the royal court and they are separated. What’s more, a love affair slowly begins to spark between Selima and Prince Khurram (Charu Roy) … Meanwhile, general’s daughter Dalia (Seeta Devi) is plotting to get her own hands on the prince. The story may seem paper-thin, but it has a beautiful surface. The romantic leads are very sweet, with the halting love story between Selima and the Prince always believable and Devi delightfully minxy. The location backdrops of the mountains and palaces are ravishing – a testament to the art direction of Promode Nath and cinematography by Henry Harris and Emil Schünemann that makes the most of natural light. 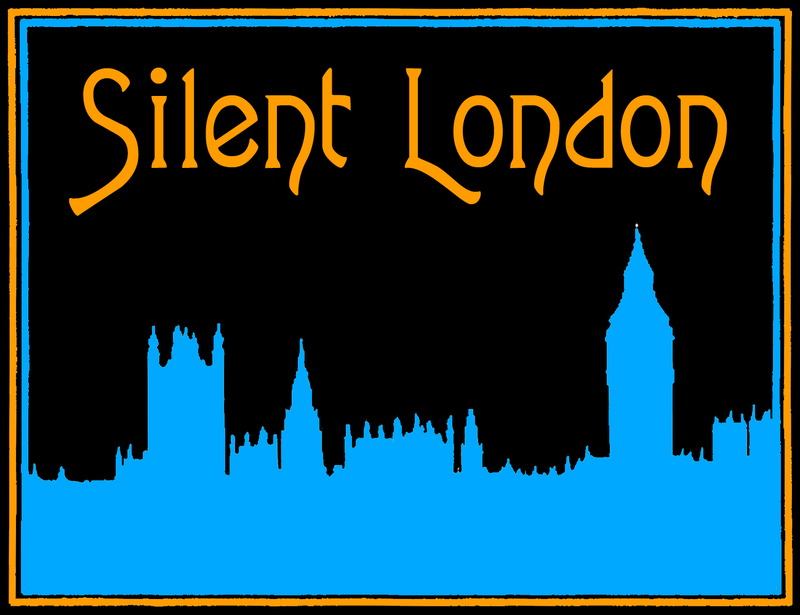 Silent Londoners are an erudite group, and no doubt we’re all regularly found in halls of academe, talking loftily of theories and histories, of books and poems and one-reel Snub Pollard movies. But even though we’re such scholars, we could all do with a trip to Cambridge this month to complete our silent film education. The Cambridge Film Festival is one of the best regular film festivals in the country for silents, and this year, the programme of early film is full of surprises, and wonderful music. Here’s what you should be looking out for. A programme of shorts featuring that early technical marvel, Kinemacolor, accompanied by Stephen Horne. Shiraz: a Romance of India (this year’s LFF Archive Gala, and more on that very soon), accompanied by John Sweeney. Silent comedy for kids and adults, with Neil Brand, featuring “the great Charley Chase, the even greater Laurel and Hardy, plus two very funny women: Anita Garvin and Marion Byron”. Casanova: Prince of Adventurers, the side-splitting comedy biopic starring Ivan Mosjoukine, accompanied by Stephen Horne. The Woman Men Yearn For, starring a young Marlene Dietrich, accompanied by Neil Brand. And … just for luck, Bill Morrison’s hypnotic documentary about a hoard of rediscovered silents and the story of how they were trapped under ice in the Yukon … Dawson City: Frozen Time. The Cambridge Film Festival runs from 19-26 October 2017. Read more here. First things first, we already knew that this year’s LFF Archive Gala would be Shiraz, a sumptuous late-silent Indo-German production, which relates the romantic story behind the building of the Taj Mahal. This gorgeous film, freshly restored by the BFI, will be accompanied by a new score, composed by Anoushka Shankar. The gala screening takes place on 14 October 2017 at the Barbican and tickets are already on sale now. Read more here. And why not book a ticket here too? The BFI’s mega India on Film season kicks off this month and continues all year. The season culminates (for us early cinephiles at least) in this year’s London Film Festival Archive Gala, which will be the sumptuous silent drama Shiraz (1928), at the Barbican on 14 October 2017, beautifully restored with a brand-new score by Anoushka Shankar. Simply quote INDIA241 when booking on line, in person or over the phone to claim the offer. Only valid for all films and events in the BFI’s India On Film season in 2017. Please note that this ticket offer does NOT include the Archive Gala. Exploring Silent Indian Cinema + Q&A with Lalit Mohan Joshi and Pandit Vishwa Prakash on Saturday 20 May 2017 14:00 – the history of India’s silent film era is explored, plus rare screening of Raja Harishchandra. The Coming of Sound and the Golden Era + Pandit Vishwa Prakash and Lalit Mohan Joshi in conversation on Saturday 20 May 2017 16:30 – discussion of the coming of sound and music in Indian cinema, with illustrations and live performance. The first of those talks concludes with a screening of Raja Harishchandra – a rarely seen film from 1913, and the earliest extant Indian movie. To find out a little more about the making of this film, and early Indian cinema in general, why not read a little feature I wrote for the Guardian in 2013, to mark the Centenary of Bollywood’? If you can’t make it to BFI Southbank this year, look out for screenings of Shiraz around the country after the Archive Gala, and check out the India on Film collection on BFI Player.